Michele will be out of the office until Tuesday, April 9th. Easter Flowers: If you would like to remember a friend, family or loved one on Easter, please add their name to the list in the undercroft. The names will be printed in the Easter Sunday bulletin. Distribution Sundays will be April 7 (12:00-2:00) and April 28 (12:00-1:00). If you are not subscribed to the Diocesan twice monthly email newsletter, the DioLog, please click [here] to subscribe. If you are subscribed, don't forget to open it and read it every time! There is a lot going on in every corner of the Diocese, and you wouldn't want to miss anything. Farewell Gatherings for Bishop Steve and Gretchen Lane are planned for May 11th in Orono, and May 17-18th in Portland. 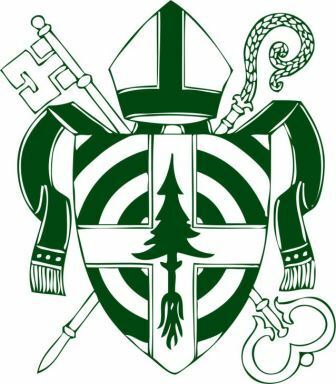 The events will offer clergy, members of the diocese and friends the opportunity to share memories and offer gratitude and thanks to Bishop Lane and Gretchen for their stewardship and pastoral leadership of the Diocese of Maine for the past 11 years. The Farewell Gathering North will be held Saturday, May 11th at the Black Bear Inn and Conference Center in Orono, with a Holy Eucharist beginning at 2p.m. A Farewell Reception, with music and a brief program will follow. The Farewell Gathering South will begin Friday evening, May 17th at 5 p.m. at the Westin Portland Harborview Hotel and will include a Farewell Reception with music and a brief program. The Farewell Gathering South will continue with Festive Holy Eucharist at 10 a.m. Saturday, May 18th at St. Luke's Cathedral, followed by hospitality and the unveiling of the Bishop's official portrait. All are welcome to attend. Watch for more information to come! Note: please…no gifts, however if so inclined, the Lanes have indicated donations to Camp Bishopswood would be welcome. Lenten Worship and Supper: An opportunity to gather with brothers and sisters from all our island churches for a quiet evening worship followed by a simple soup and bread supper at 4:30 p.m. The final gathering will be on Wednesday, April 3 at St. John the Divine in Southwest Harbor. The Way of the Cross, Wednesday, April 17 at 12 noon at St. Saviour's in Bar Harbor. On Wednesday in Holy Week, in lieu of our usual midweek Eucharist, we will be praying the Way of the Cross using the Stations that folks colored last year. If you are not familiar with this devotional service, it is a way of entering into the last hours of Jesus' life by following his steps through Jerusalem. This practice is appropriate at any time during Lent or Holy Week, and booklets containing the service are on the table at the back of the church and the shelf near the cloister door if you'd like to pray on your own at any time Monday to Friday from 9 am to 12 Noon. MDI COFFEE HOUSE: Held on the first and third Tuesdays of the month from 9:30 to 11:30 a.m. at the YWCA, 36 Main Street in Bar Harbor. Refreshments, musical entertainment and conversation. Bring a friend with you! Need a ride? Call Joan Bromage at 244-3227. Free Meals in our community. Enjoy the great food, fellowship and warm hospitality! Second and Fourth Sundays—4:30 at Bar Harbor Baptist Church, 46 Ledgelawn St. Bar Harbor. Childcare provided. First Sunday each month starting May 6, 11:30-12:30, Seaside UCC, 8 Main St., Seal Harbor. Common Good Café, 19 Clark Point Road, Southwest Harbor, Mondays, 11:00-1:00. Mondays from 3-6 pm, Everybody Eats Free Community Meal, in the Parish Hall of St. Dunstan's Church, 134 State Street, Ellsworth. Tuesdays from 4-8 pm. Open Table MDI, Bar Harbor Congregational Church, 29 Mt. Desert Street. Michael Shook, Ellen Gilmore, Dorothea Mead, Ray McDonald, Emilie Klusmeyer O'Connor, Jessica Stewart, Tom Lee, George Swanson, Richard Ramsdell, Cassandra Crabtree, Beth Pfeifer, Eric Lange, Dorothy Clunan, Anne DeGolyer, Jim Risser, Bill and Barbara Loveland, and Win Short. Copyright © 2019 St. Andrew & St. John Episcopal Church, All rights reserved.